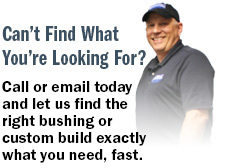 Click here to contact PARC Bushings regarding a bushing you would like to sell. During a summer peak Duke Energy failed a 345 KV 2000 AMP bushing. PARC was able to deliver a new / unused ABB replacement in less than 48 hours.